For Frandy and Elena Osias, volunteering offers the chance to step back from their everyday lives, appreciate what they have and contribute back in whatever way they can to those who are less fortunate. People choose to volunteer for a variety of reasons. For Frandy and Elena Osias, it offered a chance to give something back to the community or to make a difference to the people around them. For others, it provides an opportunity to develop new skills or build existing experience and knowledge. 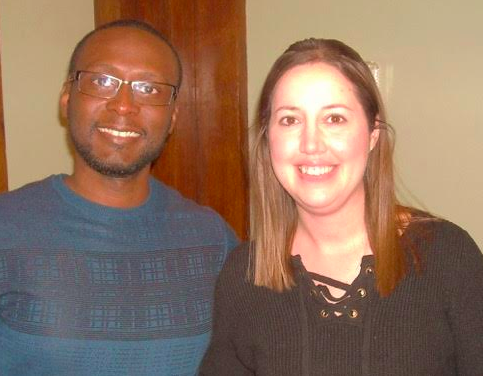 Frandy and Elena Osias told the Rockland County Times they each started to volunteer through Dominican College during spring break, for Frandy in 2009 and Elena in 2012, which is when the now-married couple met. From there the couple volunteered with Habitat for Humanity in Alabama and in 2013 in Maryland, assisting in rebuilding homes of low-income families or those who suffered from natural disasters. “We helped with framing and painting, and we met the homeowners who were going to get the home. Baltimore was more about poverty-stricken areas. There was a group of row homes that were foreclosed. Habitat went in, bought the property and rebuilt them for those in need. We helped frame and learned what a 2-by-4 was and how to use a nail-gun. After one of the homes was rebuilt, we came back to a special ceremony when a family moved in,” Frandy said. A decent home provides the strength, stability and independence that families need and Habitat for Humanity’s vision is a world where everyone has a decent place to live. Habitat homeowners pay an affordable mortgage, receive financial education and help build homes alongside volunteers. Midnight Run is a volunteer organization dedicated to finding common ground between the housed and the homeless. It coordinates over 1,000 relief missions each year in which volunteers from schools and other civic groups distribute food, clothing, blankets and other personal care items for the homeless poor on the streets of New York City. The late-night and morning breakfast relief efforts create a forum for trust, sharing and understanding. The human exchange is the essence the Midnight Run mission, not a solution to homelessness. People to People’s Project Joy! provides donors with the opportunity to ‘adopt-a-family’ for the holidays and purchase toys from children’s wish lists. Last year, almost 900 families had gift-filled holidays thanks to many individuals, groups and corporations that participated. The Meals on Wheels mission statement is to enhance the wellness of Rockland’s older adults and their families by providing services that support their safety, independence and health. The home-delivered meals are intended for older adults who are considered homebound due to illness or disability and who are food insecure due to limitations in their abilities to obtain and prepare food on a daily basis. In addition to providing nutritious, tasty meals, the Meals on Wheels program offers an opportunity for social interaction with volunteers and gives its clients and their families a sense of security that someone is checking on them regularly. Soup Angels is a nonprofit organization, housed in the First Reformed church of Nyack, with a focused goal of helping the less fortunate in the Rockland community. It provides a safe, clean uplifting environment for guests in need of food and fellowship. The nonprofit provides assistance to anyone who walks through its doors, no questions, no paperwork and no fear of embarrassment. The soup kitchen relies on the generosity of individuals and businesses for support. The core mission of Volunteer New York! is to inspire, mobilize and equip individuals to take positive action to address pressing challenges, support nonprofits and improve the quality of life in Rockland, Westchester and Putnam counties.